Dodge had humble beginnings in the early 1900s, when the Dodge brothers decided to stop making parts for auto manufacturers and just start making their own vehicles. At first, the brand specialized in automobiles such as delivery trucks and full-sized passenger cars, and while the automaker branched out and expanded into other styles, the idea of vehicles with a wide-stance and plenty of room remains today. Read on for a look at used Dodge for sale in Phenix City AL. Dodge has a variety of different vehicles, and that diversity is reflected in the selection of used Dodge automobiles available at all six locations of Gil’s Auto Sales. Something Dodge has really specialized in over the years is the muscular look. The brand has produced iconic cars like the Charger and Challenger, classic muscle cars which have a broad and intimidating stance. While our inventory is always fluctuating, newer versions of the Charger are (or have been) available on our lots, so if you are looking to rev the engine of a powerful sports car, you’re in luck! Dodge doesn’t just have big sports cars, though. If you have a family or an outdoor spirit, Dodge has you covered. The aptly named Journey is a versatile SUV that can take you on your various trips, be they outdoor adventures or movie nights with the family. The Grand Caravan is a stylish minivan which can pack everyone in for a trip to Grandma’s. The vehicles offer potent engines and spacious interiors, ensuring a comfortable ride for everyone. 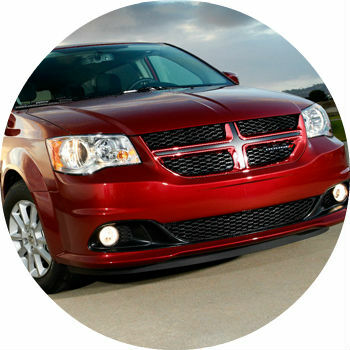 If you are interested in a used Dodge, how much of a down payment should you make? If you find a Dodge vehicle you like at Gil’s Auto Sales, buying it is easier than ever. We are a buy here pay here dealership, which means all of our financing is done in-house. We’ll hammer out a financial plan that works for you, regardless of credit history. You might even be able to drive off in a used Dodge for just $299 down! Contact Gil’s Auto Sales to find out how you can get behind the wheel of a used Dodge today. This entry was posted on Wednesday, April 27th, 2016 at 10:18 am	and is filed under Dealer Information, Dodge, Used Cars. You can follow any responses to this entry through the RSS 2.0 feed. You can skip to the end and leave a response. Pinging is currently not allowed.